Kedarnath Dham is one of the most sacred and serene pilgrimages dedicated to Lord Shiva. Located in the Rudraprayag district of the Gharwal region in Uttarakhand State, the place stands ahead being the most important dham of the Chardham yatra. 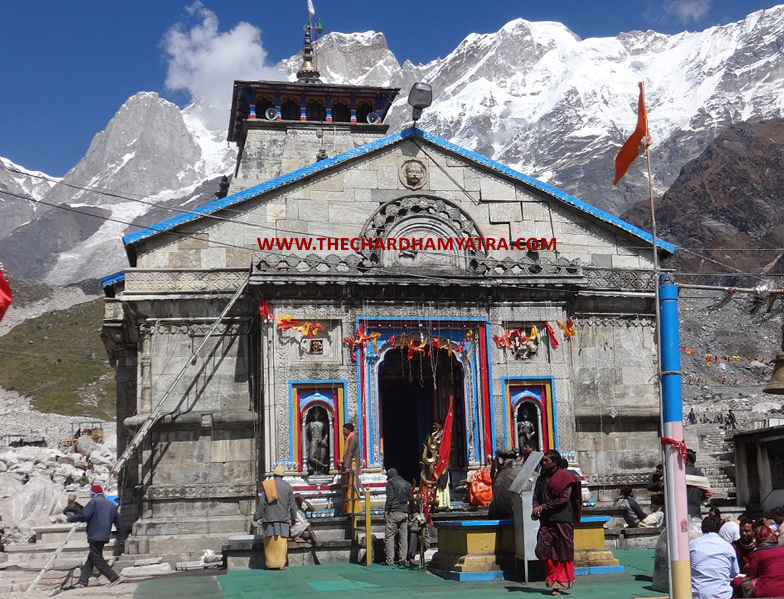 Owing the historical embodiment of Kedar Khand, Kedarnath is an important part of Panch Kedar and stands among the 12 Jyotirlingas of Lord Shiva dispersed all over the country. Located on the bank of Mandakini River on the height of 3584mts above sea level, Kedarnath offers the visitors with the mesmerized view of the snow capped mountains and alpine forests. Kedar means the powerful which displays another form of Lord Shiva who is the protector and destroyer of this earth. The main attraction to Kedarnath is the Kedarnath Temple dedicated to Lord Shiva that offers a captivating and serene aura to the visitor to suit to his/her desire to meditate. This popular Hindu shrine attracts thousands of visitors every year who come to explore the natural beauty of the place and also pace up to follow the religious zest followed in this spiritual aura. The devotees take on the pilgrimage tour to Kedarnath to explore the spiritual significance of the place and also to display their true faith in the power of the almighty. The historical legend of the Kedarnath Shrine takes you to several renowned stories that lead to the establishment of this famous and sacred Shrine. One such story beholds the penance offered by the two incarnations of Lord Vishnu, Nar and Narayan. According to the sources, both Nar and Narayan performed the penance in front of a Shivlingam that emerged out of Earth in Badrikashraya of Bharat Khand. Seeing their devoted penance, Lord Shiva appeared in front of them and asks for the boon. They requested the Lord to take up a permanent abode in the form of Jyotirlingam at Kedarnath to free the upcoming devotees from all their sins and miseries. As a boon, Lord Shiva granted them their will and took the abode at Kedarnath. The Jyotirlingam of Kedarnath is positioned at the highest among the 12 Jyotirlingams. Unlike carrying the usual form, this lingam is pyramidal in shape. Another story reveals that while Pandavas are looking forward for Lord Shiva’s blessings as forgiveness against their endeavors of killing their cousins, Lord Shiva on account of avoiding the Pandavas left Kashi and formed Guptkashi. Though, the place got detected by Pandavas lead to the popularity in future. A historical embodiment of Kedar temple takes you to the story wherein Goddess Parvati worshipped the Lord Kedareshwar to ask for the boon of uniting with Shiva as Ardhanareeshwar. The famous Bahiron temple also holds the historical significance in Kedarnath. This temple is dedicated to Bhaironathji and is worshipped on the occasion of opening and closing of Kedarnath temple. It is believed that when Kedarnath temple remains closed for a certain period, it is bhaironathji temple that takes care of the surrounding areas from the evil. Kedarnath Temple: It is one of the holiest Hindu pilgrimages that is located at an altitude of 3584mts above sea level. It is the main temple of Panch Kedar and also holds a special position among the 12 Jyotirlingas situated all around the country. Chorabari Tal: It is a beautiful lake that is known for departing reflections of the Himalayan peaks. Situated at a distance of 3kms away from Kedarnath, it is also renowned as Gandhi Sarovar. Gaurikund: It is the entry point of the trekking that leads the trekker to the sacred shrine of Kedarnath. The place is named after the temple dedicated to Goddess Parvati. Vasuki Tal: It is a beautiful lake situated at an altitude of 4150mts above sea level. Visitors can reach the lake by following a trek of mere 7km from Kedarnath. Shankaracharya Samadhi: Adi Shankaracharya took the Samadhi at this place after establishing the four dhams in India. He was a great Scholar and saint of the century. Sonprayag: It is the holiest place that allows freedom from all the sins. It is the confluence of the two holy Rivers Basuki and Mandakini. Phata: It is the small village located on the way to Kedarnath. It is renowned for having the helipad that is used by the visitors to visit Kedarnath Dham. Ratus kund: It is the small water source located around 200mts from Kedarnath Temple. It got its name due to the availability of ret into the small tank. Bhaironath Temple: It is the temple dedicated to Lord Bhairavnath ji. It is believed that during winters, when the Kedarnath temple remains closed, the Bhairavnath ji deity protects the surroundings from evil. Trekking: A trip to kedarnath offers the tourists with the wide exposure to trekking to various destinations. One can entail the trek to Kedarnath from Gaurikund. Apart from these, adventure freaks can find a great deal of trekking choice through Vasuki Tal, Chorabari and Bhairon Temple. Pilgrimage: Kedarnath offers the best and most revered pilgrimage location through its vast coverage of temples. Kedarnath temple is one such example which receives a large number of devotes every year. Kedarnath Shrine is one of the holiest destinations in the country that allows the visitors and pilgrims to enjoy the captivating view of the snow capped mountains and nearby surroundings in the summer season. In summers, the weather of the region is pleasant and cool and offers the best time to enjoy your visit to Kedarnath and Kedarnath temple. 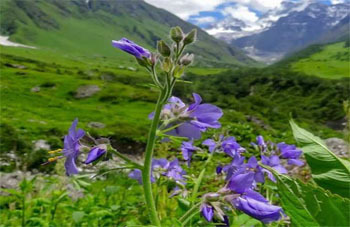 Summers: Summer season from May to June is the ideal time to enjoy the sightseeing around the available attractions in Kedarnath and Kedarnath temple. The weather during this season remains pleasant with moderate climate and average temperature hold by 17 degree Celsius. Monsoons: Monsoon season from End of July to Early September is the time when the area alongside the Kedarnath Shrine is prone to face landslides. Tourists are advised to avoid this season as the area turned into a dangerous spot for holidaying. Winters: Winter season from November to April is the time for snowfall in the region of the Kedarnath Shrine. During this season, the area experience heavy snowfall that pose great difficulty for the tourists. Even the doors of the Kedarnath temple remain closed for the darshan. This phase is also avoided by the tourists. It is the same period, during which the idol of Kedarnath get shifted to a new location called Ukhimath that is located near Guptkashi. Once the season is over, the doors of the temple are reopened for the pilgrims in the month of May. Kedarnath Shrine experiences a cold climate throughout the year. The best time to visit Kedarnath or best time to pay regards to Kedarnath Temple is in the months of May, June, September and October. Rainy season is strictly avoided for visiting Kedarnath as the region comes under the risk chambers of facing landslides. Even the chilly winter season is avoided due to heavy snowfall. By Air: The nearest airport is Jolly Grant Airport that is located at a distance of 238kms. The airport is easily connected with Delhi via regular flights. Also, the airport is smoothly connected with the road transport. Most Pilgrims Take Kedarnath Yatra By Helicopter from Nearest Helipad Phata. By Rail: Rishikesh is the nearest railway station located near Kedarnath at a distance of 216kms. The rail network is smoothly connected with other major destinations in the country. Also, the road transport means such as taxis and buses allows smooth connectivity with various destinations in Kedarnath and its nearby areas. By Road: Regular buses and taxis are easily available to connect the pilgrims with the entry point of the kedarnath journey, i.e. Gaurikund. Also, the road transport allows smooth connectivity with the road transport of other states and cities of India. Kedarnath offers the splendid view of the snow capped mountains, rhododendron forests and mesmerized environment that will fill your heart with ultimate peace and tranquility. One must go for the captivating vistas and amazing sceneries and visit the heavenly abode of the great almighty.